"She said, 'I'm going to photobomb and I said, 'Yes, get in here!'" 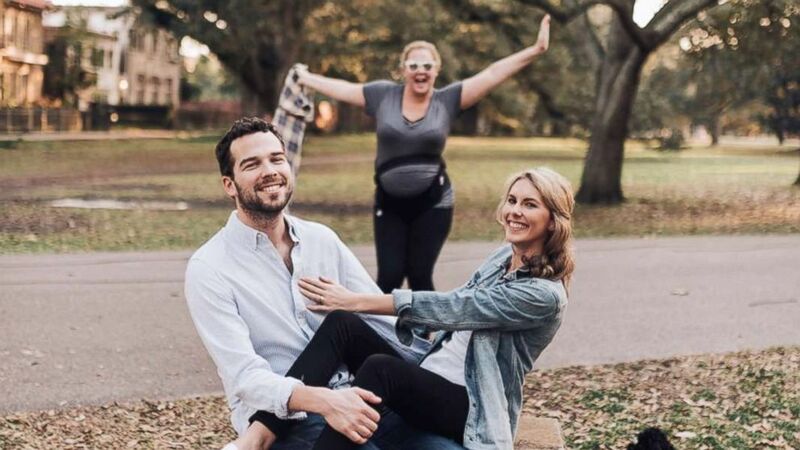 camera (Jen Menard Photography) Katherine Salisbury and James Matthews posed in an engagement shoot in New Orleans, where actress Amy Schumer photobombed the couple. A couple's engagement pic went from romantic to hilarious after a brief cameo from Amy Schumer. The actress-comedian leaped into the shot taken by Jen Menard Photography at Audubon Park in New Orleans on Sunday. Schumer's pup also made the photo. Bride-to-be Katherine Salisbury of Washington, D.C, and her husband, James Matthews, were shocked when Schumer approached them, Salisbury told "GMA." 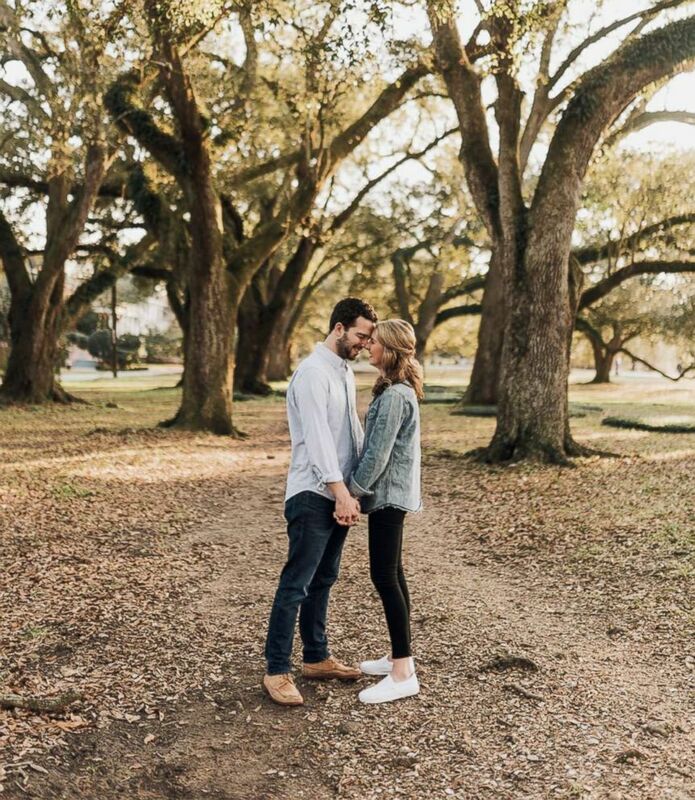 (Jen Menard Photography) Katherine Salisbury and James Matthews posed in an engagement shoot at Audubon Park in New Orleans. @amyschumer WE LOVE YOUUUU and plz photobomb anytime ya like ???? "She came up behind us and said, 'Is this an engagement shoot?' And my photographer said 'yes,'" said Salisbury, 29, who is getting married this October. "She said, 'I'm going to photo-bomb and I said, 'Yes, get in here!' It's hilarious." Jen Menard, the photographer, posted the image on Instagram and Schumer re-shared it on her own account, writing, "If you get engaged, Tati and I will be there." The pic delighted thousands of pocket lovers on Twitter. "It made me feel really great to have such an amazing family." "I honestly shared it because I felt bad that I didn't realize it was her, otherwise I totally would've fan-girled," Menard told "GMA." "I was just hoping to make her smile."